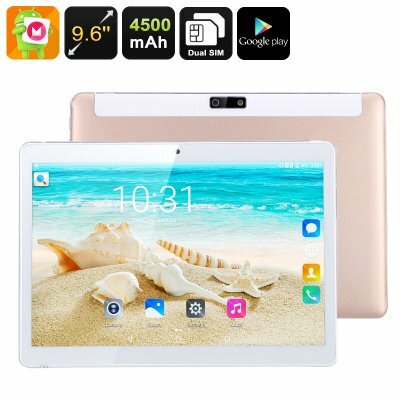 Successfully Added 3G Android Tablet Computer - 9.6 Inch IPS Display, Android 6.0, Quad-Core CPU, Dual-IMEI, Google Play, 4500mAh Battery to your Shopping Cart. This 3G Android tablet PC brings your mobile connectivity and entertainment experience to entirely new heights. Featuring two IMEI numbers, this tablet computer lets you be connected to two 3G network providers simultaneously. This makes this 3G tablet especially useful for those of you that travel a lot and like to stay connected to the web at local prices while staying abroad. Additionally, it also allows you to use this cheap android tablet PC as a mobile phone – letting you call and message family no matter where you’re at. Running on an Android 6.0 operating system, this affordable 3G tablet features an abundance of the latest software features that are guaranteed to treat you with a smooth user experience. Supporting Google Play, it provides you with access to an unlimited source of mobile entertainment, movies, and Android applications – making it the perfect portable gaming device. Its Bluetooth and OTG functions further increase your overall experience by allowing you to connect external hardware devices such as a wireless speaker, memory stick, keyboard, or gamepad to this great Android tablet PC. This Android tablet computer holds an absolutely stunning 9.6-Inch IPS display on which it portraits breathtaking visuals that are sure to lift your experience to entirely new heights. With its 800p HD resolution, you’ll be able to enjoy the latest movies, series, and more to their absolute most. To make sure that you’ll be treated with nothing but the best graphics and visuals alike, this 3G tablet PC packs the Mali 400 GPU that lets you engage in the latest and most graphically demanding types of entertainment. Under its hood, this 3G Android tablet computer furthermore packs a sophisticated Quad-Core CPU that reaches clock speeds up to 1.3GHz. A powerful 4500mAh battery lets you enjoy all this tablet has to offer for multiple hours in a row – letting you watch a movie from beginning to end, browse the web, and enjoy Android applications without needing to worry about battery life. Supporting 16GB internal memory and a 32GB SD card slot, this Android 6.0 tablet PC provides you with all the storage you need to save your files and movies, guaranteeing that you’ll never have to experience a moment of boredom again. 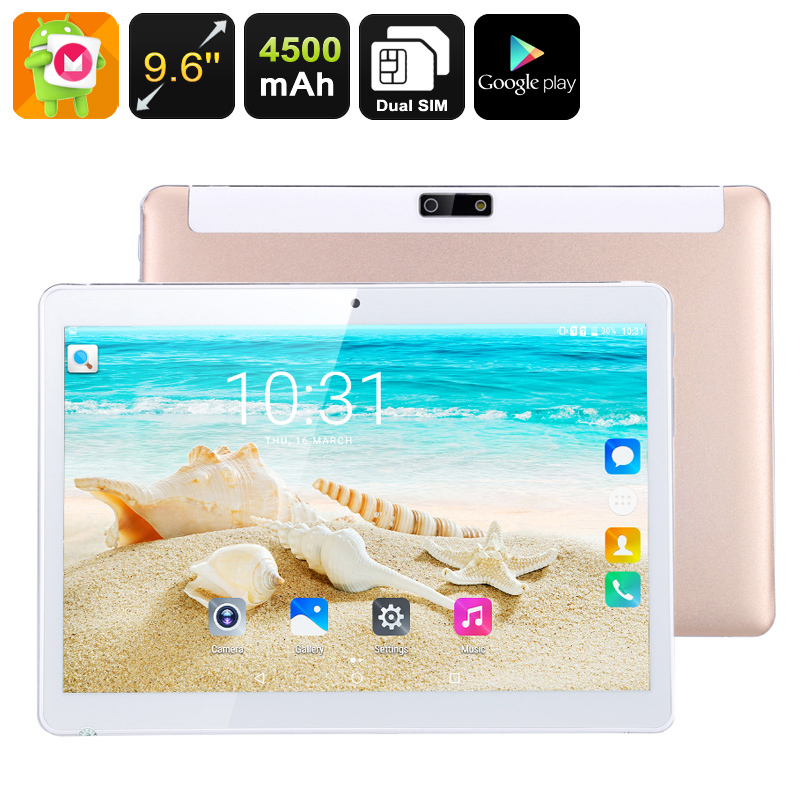 This Android Tablet Computer comes with a 12 months warranty, brought to you by the leader in electronic devices as well as wholesale electronic gadgets.. I really love this tablet. Has the feel and operation as a quality tablet. If is far worth its cost.